When is a VPS hosting service necessary? Many website owners start out with a shared hosting plan. But as their website grows, they’ll eventually have to meet the demands that come with the growth. This is where the option of upgrading to a VPS hosting plan comes in. Unlike regular shared hosting plans where you compete for resources with other sites, a VPS plan will allocate a specific amount of resources to you and you only. Now if you’ve been thinking about upgrading from your shared hosting plan recently, here are some reasons when a VPS service would be necessary. If your website has grown significantly and your traffic has increased 20 to 30 percent, this would be a good reason to switch to VPS. With increased traffic, you will be demanding more resources. If there happens to be multiple sites on your shared server with high traffic numbers, then your site will be operating on minimal resources. This will result in your site slowing down for your visitors which could lead to lost leads and sales. Sometimes it’s not about your website slowing down. It’s about delivering the best possible user experience with quick loading speeds. Higher loading speed results in higher website conversions which results in a higher bottom line. You also have to be aware that every single second in loading time can make a difference. It’s been found that 40 percent of users leave a website that takes longer than three seconds to load. In this day and age, most web hosts guarantee a 99.9 percent uptime guarantee even with shared hosting plans. Of course, this doesn’t mean that your servers are never going to crash. Many website owners will attest to having their website go down for hours. If you have many marketing campaigns running to a website, this can lead to thousands of dollars lost in revenue. This doesn’t even include all the money lost in advertising expenses. While problems can still occur in a VPS server, there is less of a chance of your website experiencing this kind of down time. There is a partition for your website so that you have enough resources to work with and also so that the space is configured for your required settings. This means that a single website on the server won’t hog all the resources and possibly result in a system overload due to sudden spikes in traffic. If you’re dealing with highly sensitive information like the credit card or social security numbers of your customers, security will obviously be on the top of your list. It’s typical for shared hosting servers to host far more websites than VPS servers. In some cases, shared server may be overloaded with too many websites so that the web hosting provider can achieve higher profitability per server. But more websites means more opportunities for hackers to find vulnerabilities. So if somebody in a shared server environment has been careless and left their settings open to hackers, you are put at risk as well. While this doesn’t mean the same scenario can’t happen in a VPS environment, but you do have to understand that there is a higher chance of it happening on a shared host environment due to the higher number of websites. If you have big plans for your website, then you’ll want to move over to a VPS host. Starting with a VPS will support the transition from a small website to a big website. There won’t be any slow down as you launch your marketing campaigns. If you’re adding content, installing new scripts, and setting up new plugins, you’ll know that your server will handle it without any problems. And if you need additional resources, more can be partitioned to you at the request of the hosting provider. Another thing you have to be aware of is that unlimited really doesn’t mean unlimited. Many web hosting companies these days advertise an unlimited disk space and bandwidth for shared hosting plans. This is actually not 100% accurate. Many of these web hosting companies will throttle your account if you use up too many resources or in some cases, shut down your website without any notice. Just read their terms of service and customer reports if you can’t believe it. 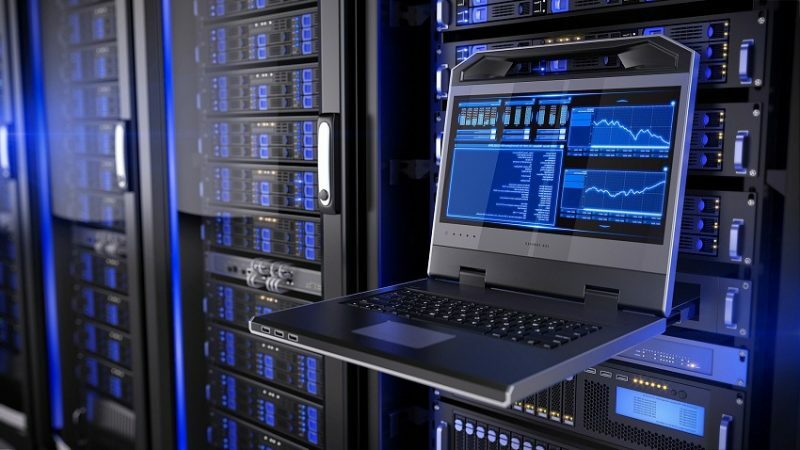 If you already know that you need something better than a shared hosting plan, you’ve probably looked at getting a dedicated server. The problem with dedicated servers is that they can be quite expensive, especially if you’re just starting out with a new business. The solution to this lies in a VPS host. Like shared hosting plans, VPS plans are quite flexible and many service providers offer a number of plans to suit the needs of their customers. Plans can range anywhere from $15 a month to $120 a month. The difference really comes down to how much RAM and disk space you are given. As your website grows, you can easily upgrade your plan without committing to the high prices of dedicated hosting plans that can start from $100 a month. The bottom line is that VPS plans are financially flexible and will allow you to save thousands of dollars a year. These are the different scenarios that let you know when a VPS hosting service is necessary. If you plan on taking your website seriously, then a shared hosting plan should not even be an option. A VPS plan will offer outstanding performance, enhanced security, more reliability and seamless scalability. It’s also a great financial alternative to dedicated hosting plans.